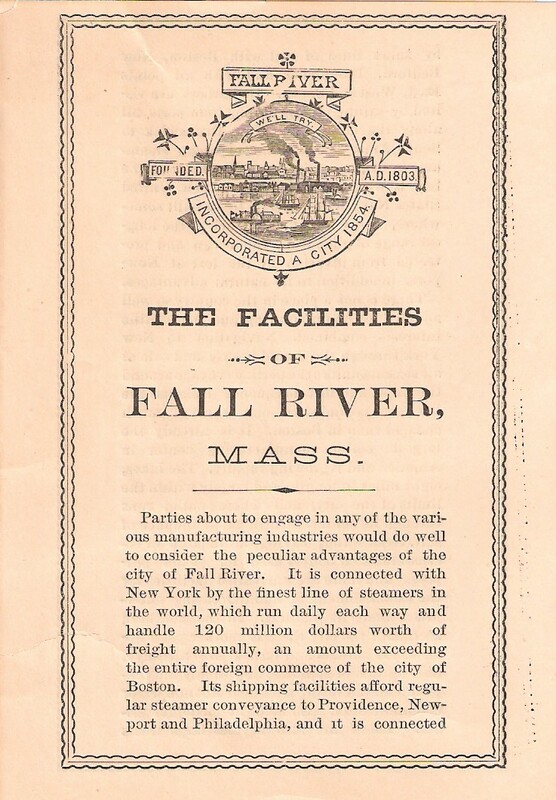 Here is a little brochure extolling the benefits of locating manufacturing and other business concerns to the City of Fall River. 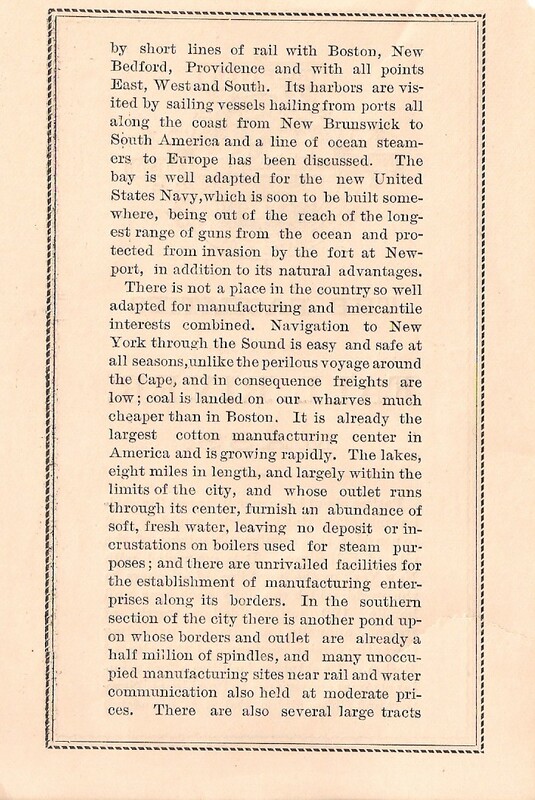 This publication is connected to T.R. Vestal at 31 Bedford Street. For more about the Vestal family, please click on the tab above “Another Side of Lizzie Borden”. 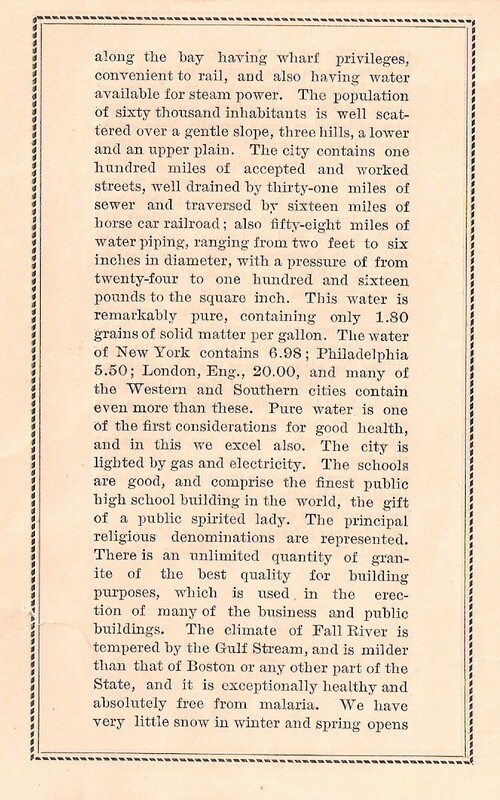 This little brochure is a wonderful look into the many assets of the city at the turn of the century. 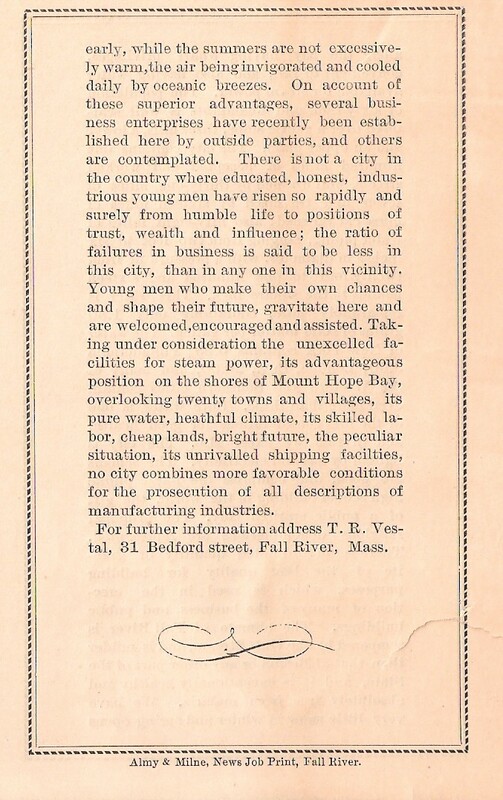 “The ratio of failures in business is said to be less in this city than any other one in this vicinity”. Click on each thumbnail image above to see full -sized page.